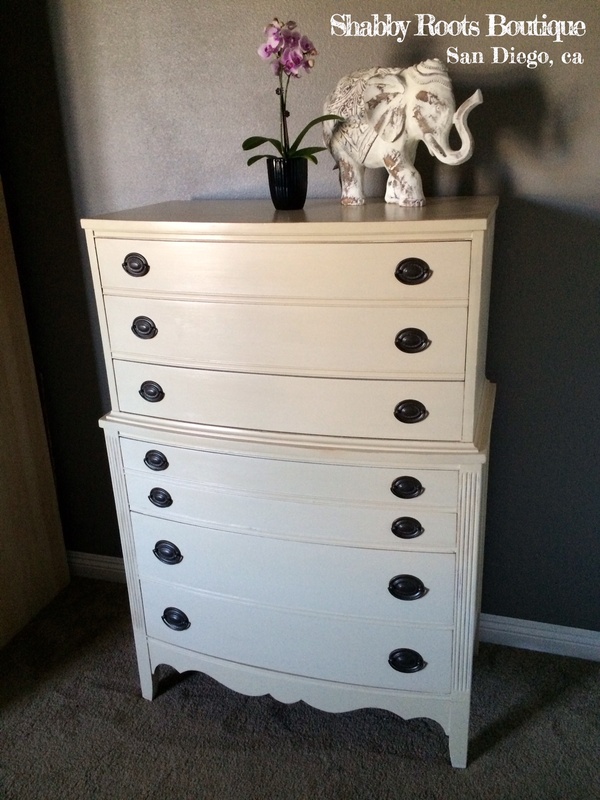 Beautiful french dresser with 6 drawers. 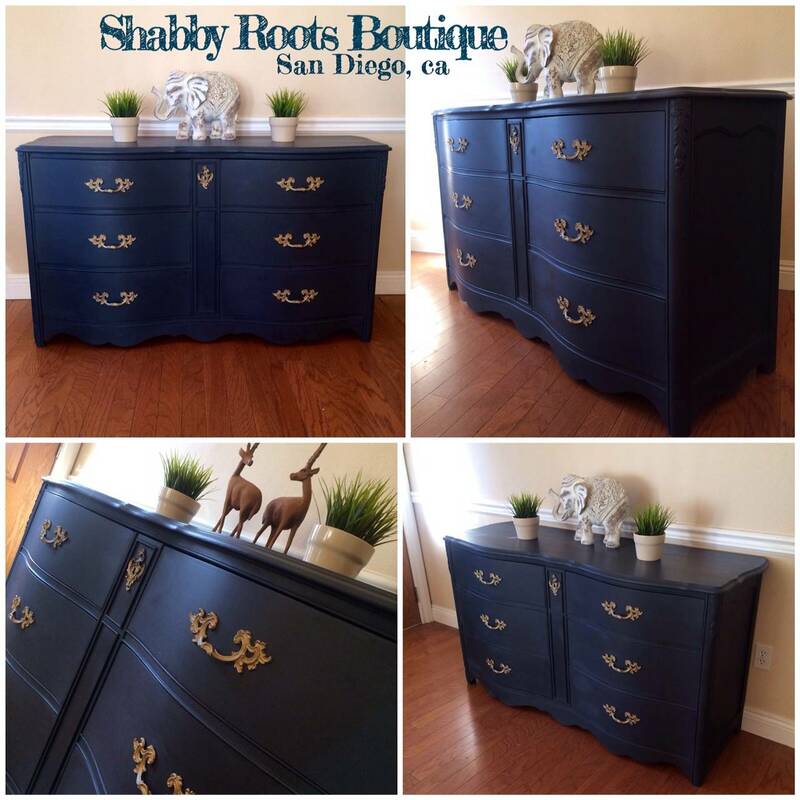 Hand painted in a custom rich navy blue with beautiful gold hardware. 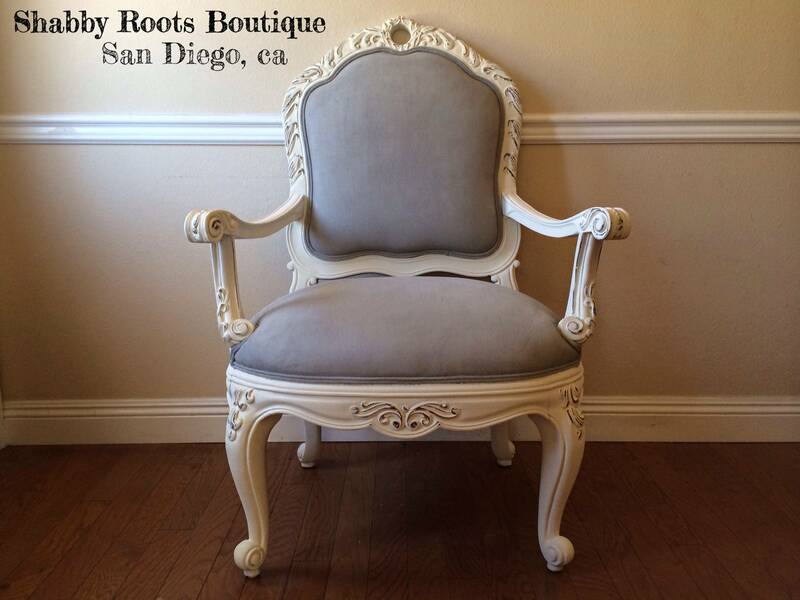 Gorgeous heavily carved Rococo french parlor chair. 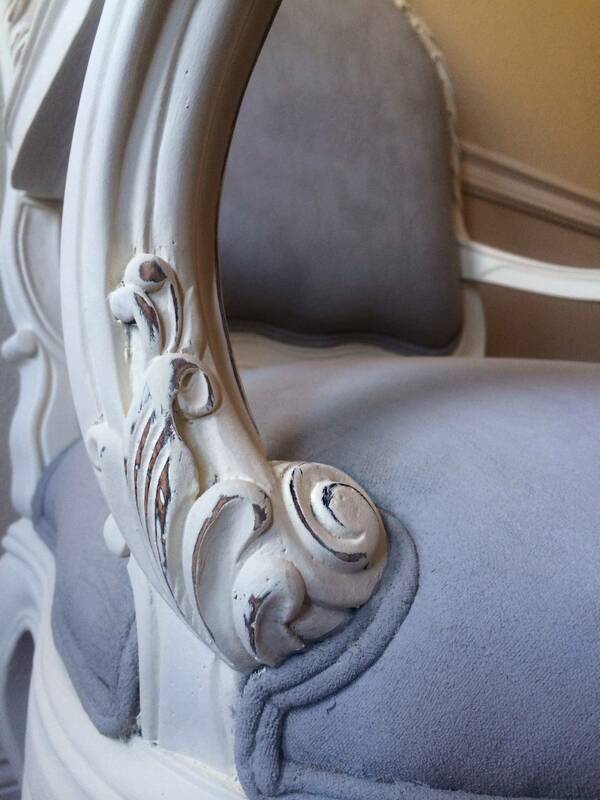 White frame with a light grey plush seat. Very comfortable. 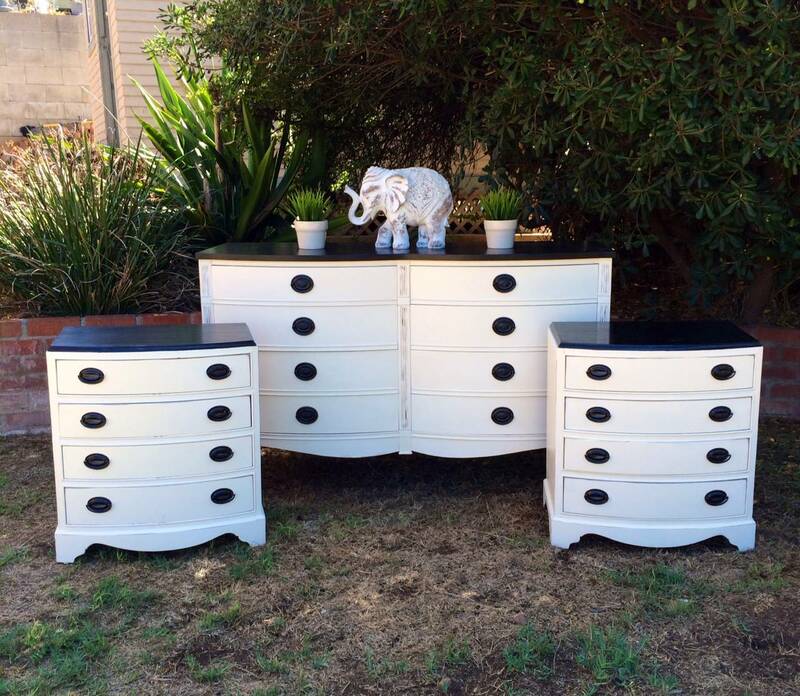 would look fantastic in a shabby chic cottage style home. 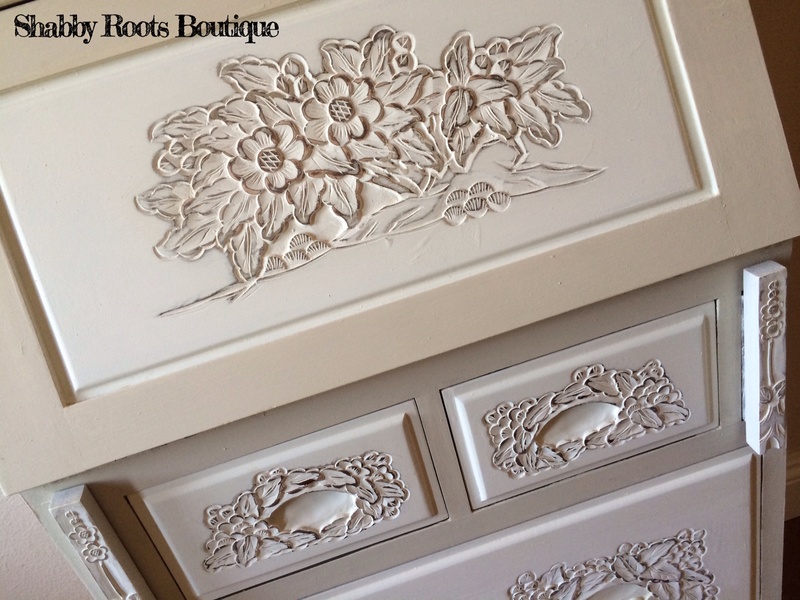 All the details were distressed to add another layer of depth. 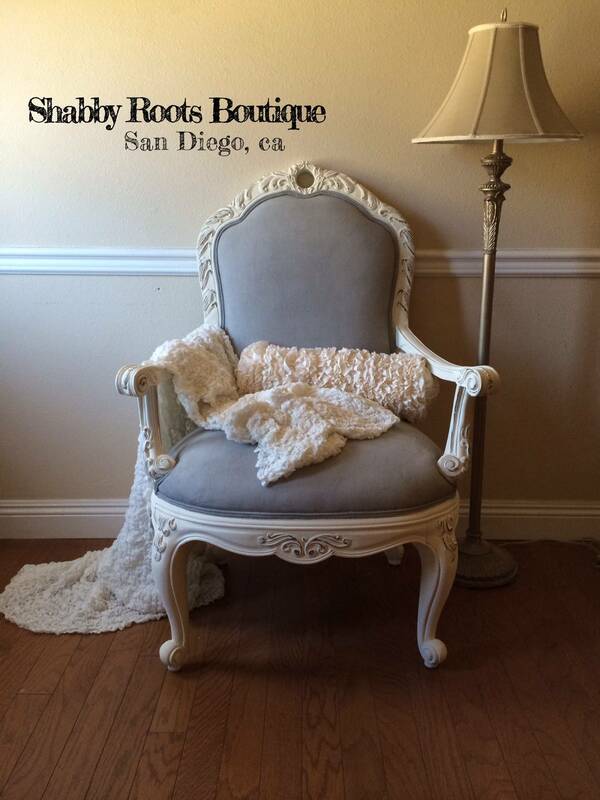 This chair is an absolute stunner. 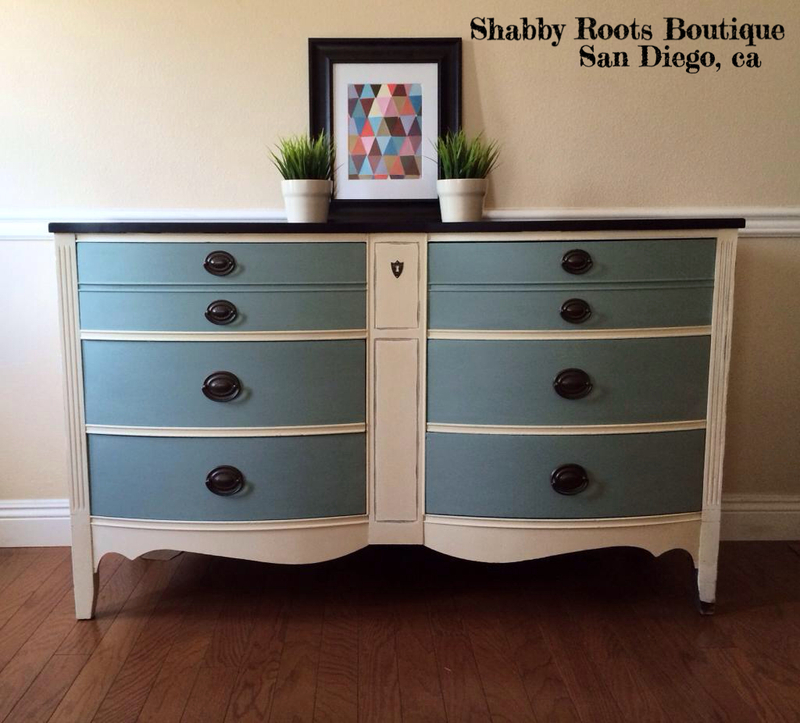 Shabby chic Dixie dresser chalk painted in duck egg blue and old white. 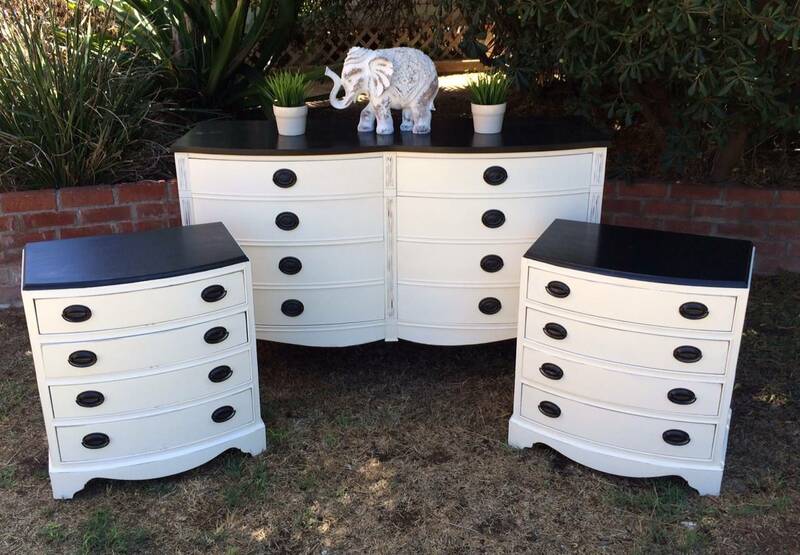 The top was painted in black. 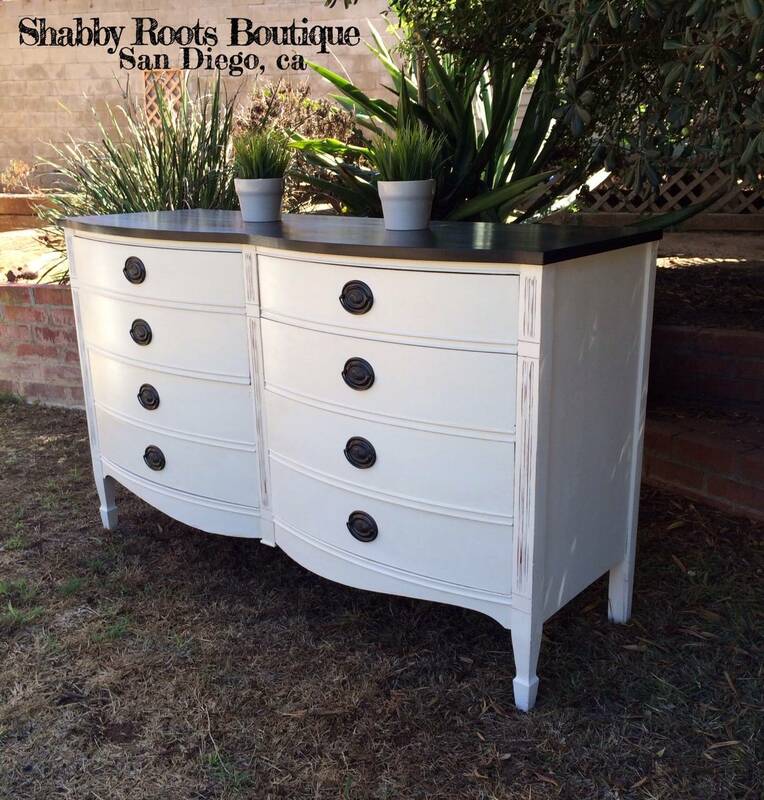 Features 6 smooth drawers with dovetail hinges & original brass hardware. Minimal distressing on this piece. Waxed and sealed for protection. 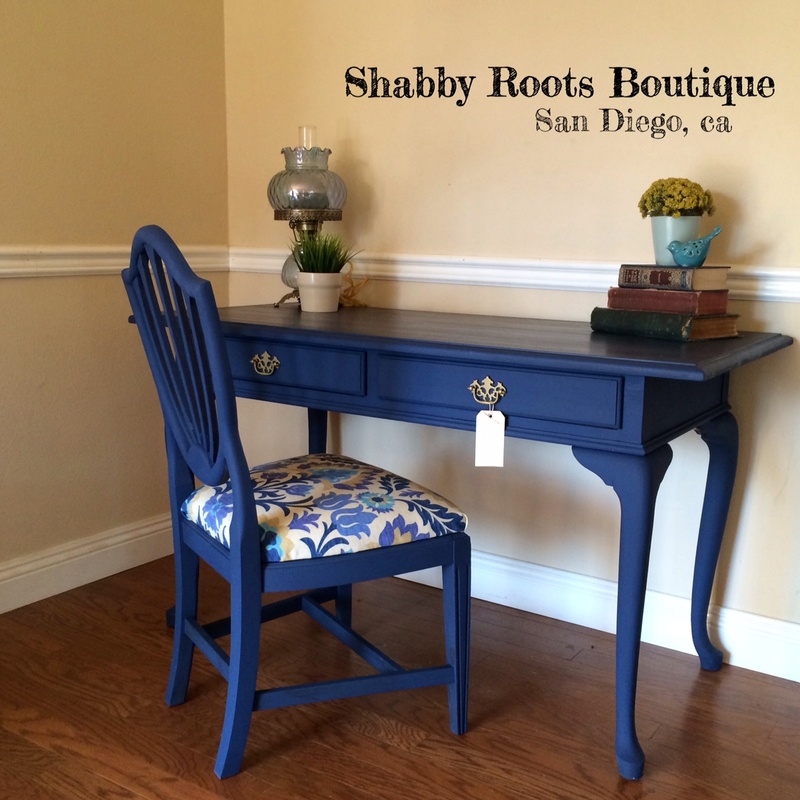 A beautiful Queen Anne desk and chair. 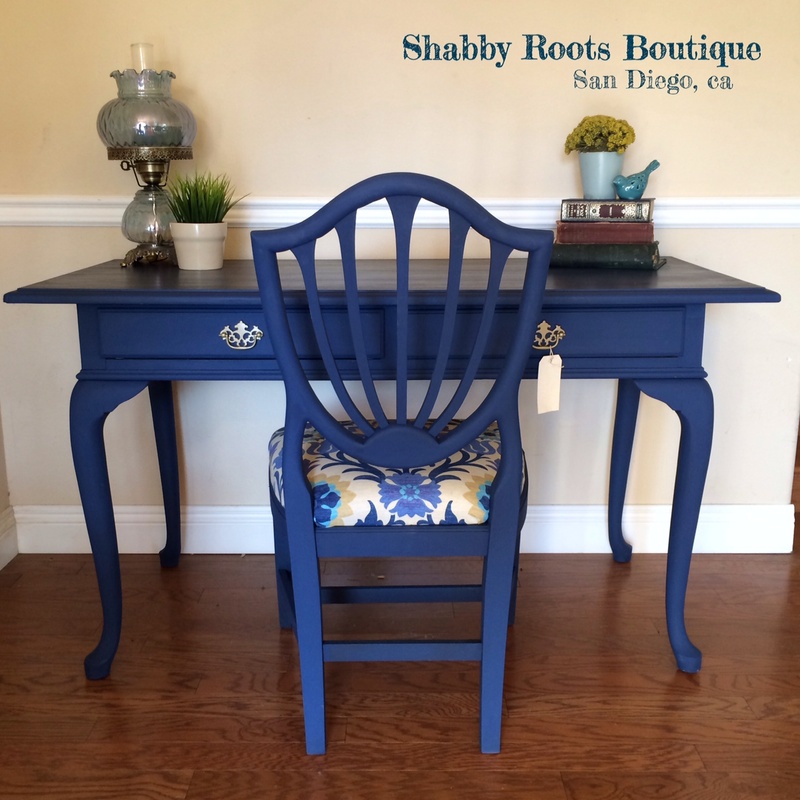 Chalk painted in a matte (almost navy) rich cobalt blue color. 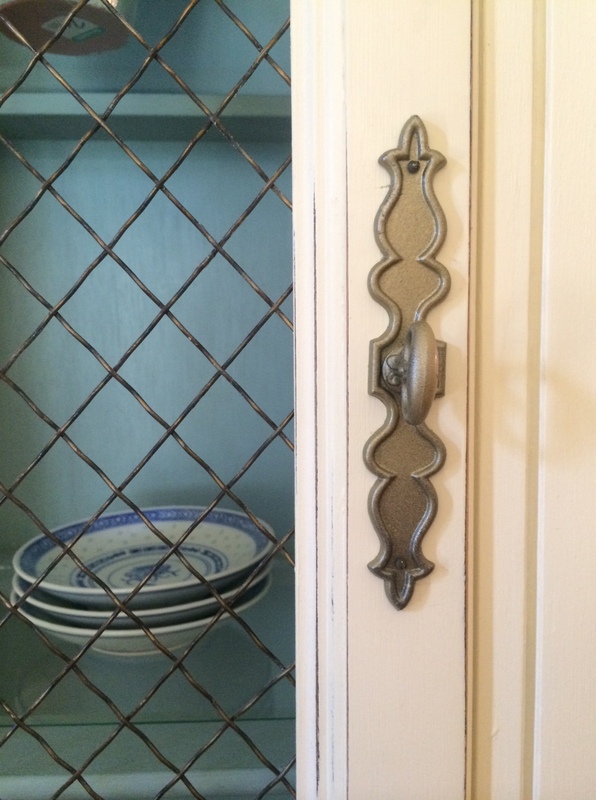 Gold original brass hardware. Waxed and sealed for long lasting protection. 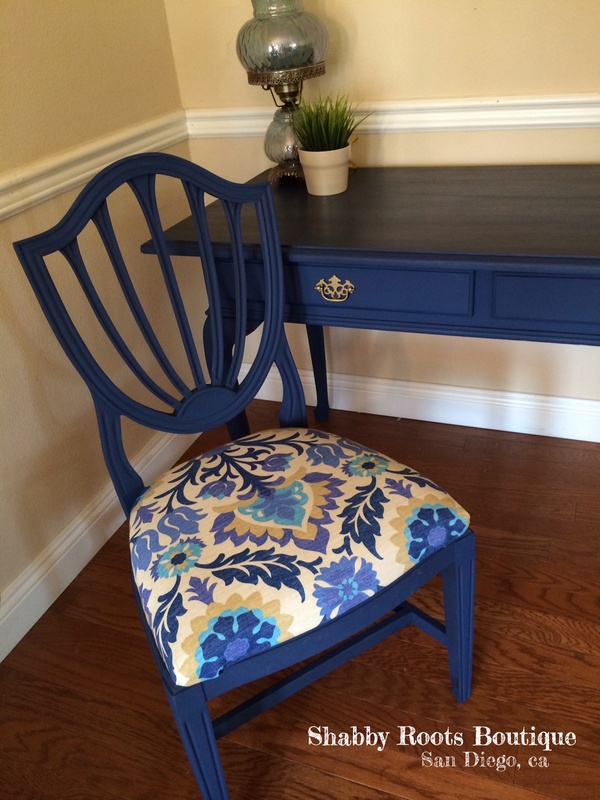 The chair was painted to match and reupholstered in a modern floral fabric. 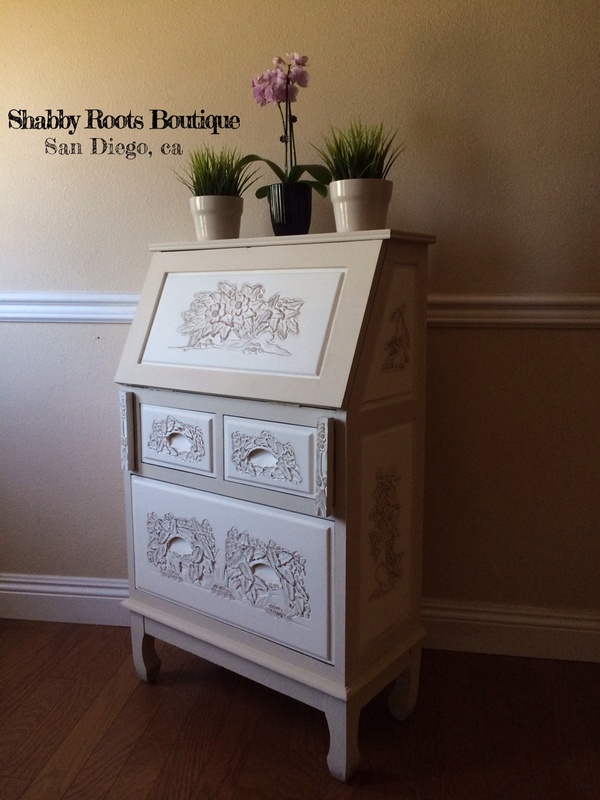 Two smooth drawers for extra storage. Plenty of surface space, You could even fit two computer monitors on top if you choose to! 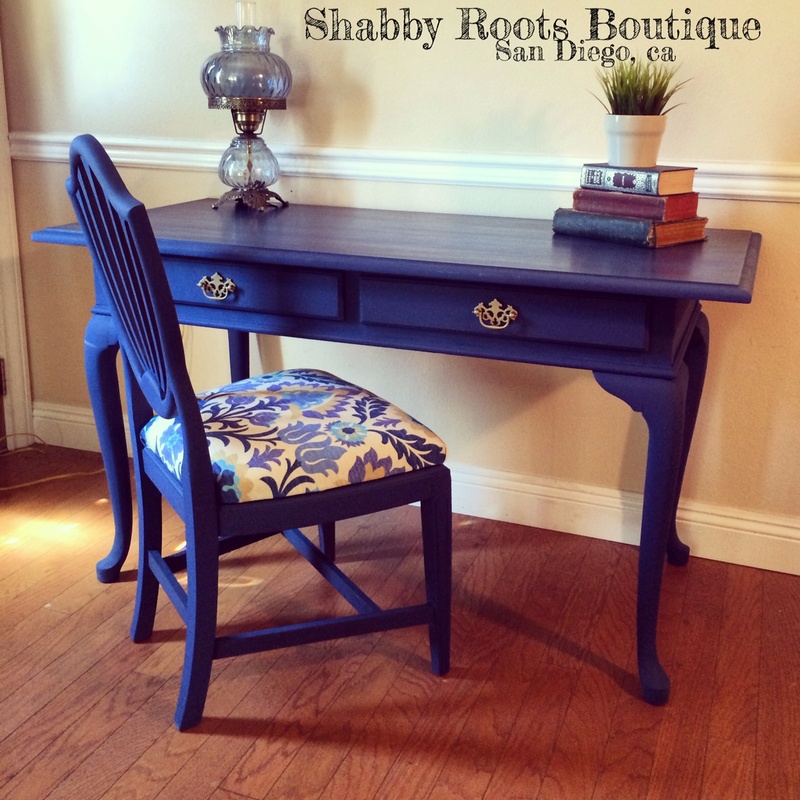 Also would be great as a writing desk & study desk. 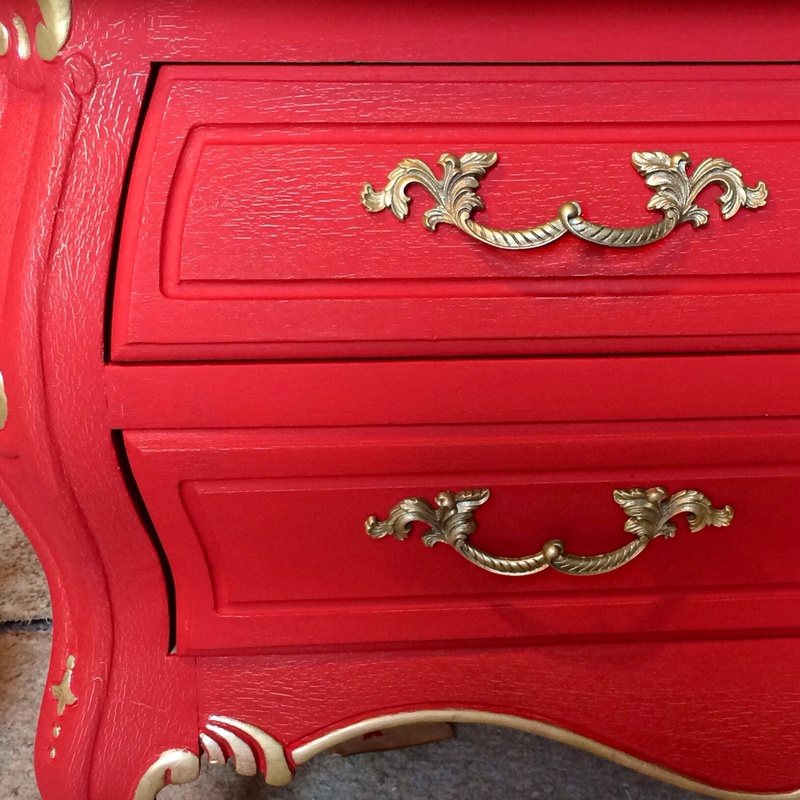 This piece is bold and gorgeous! 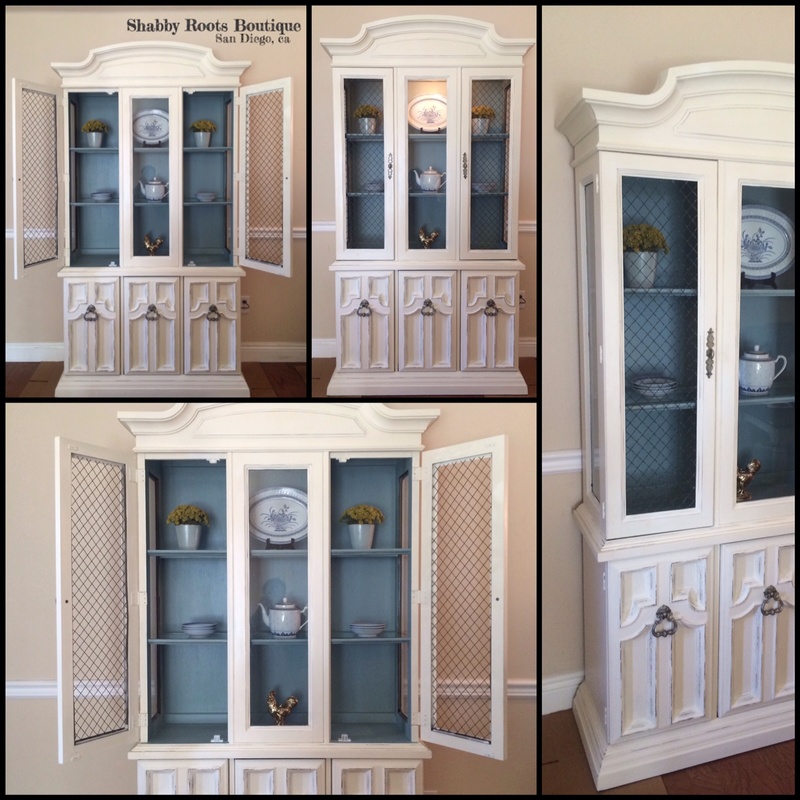 This is a beautiful freshly refinished china cabinet. 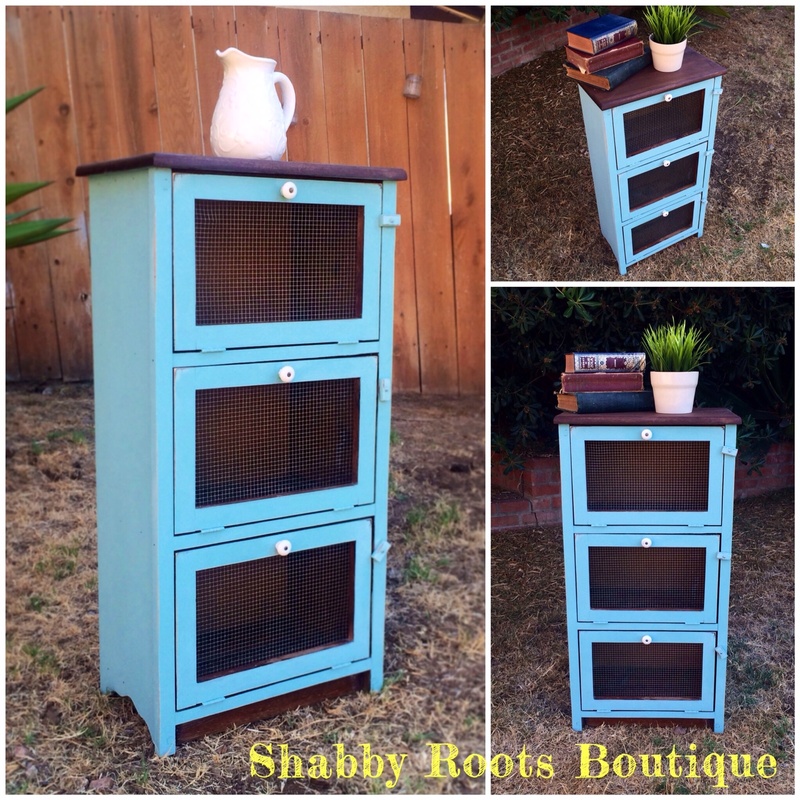 It would look great in a shabby chic rustic cottage home. The colors are old white and duck egg blue. It has a light which illuminates all your treasures inside. Plenty on storage underneath. 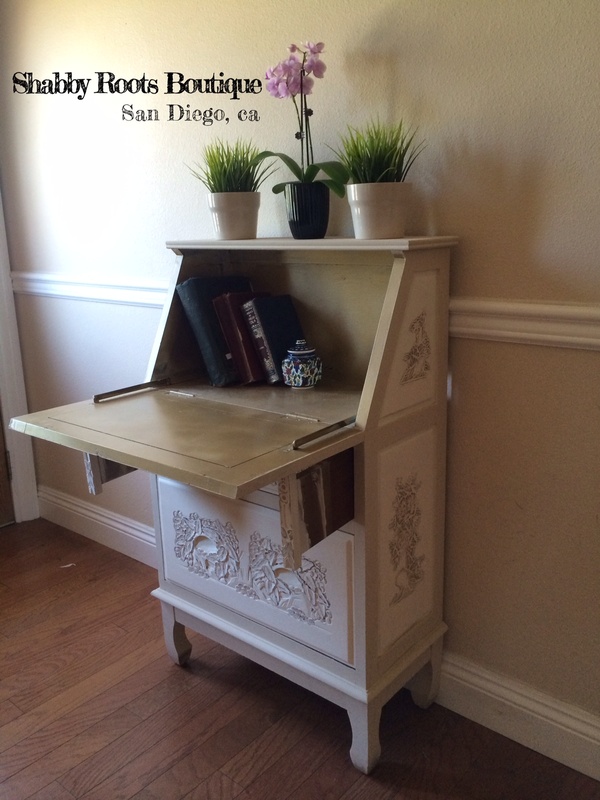 Ultra Shabby chic hand carved small drop down secretary desk. 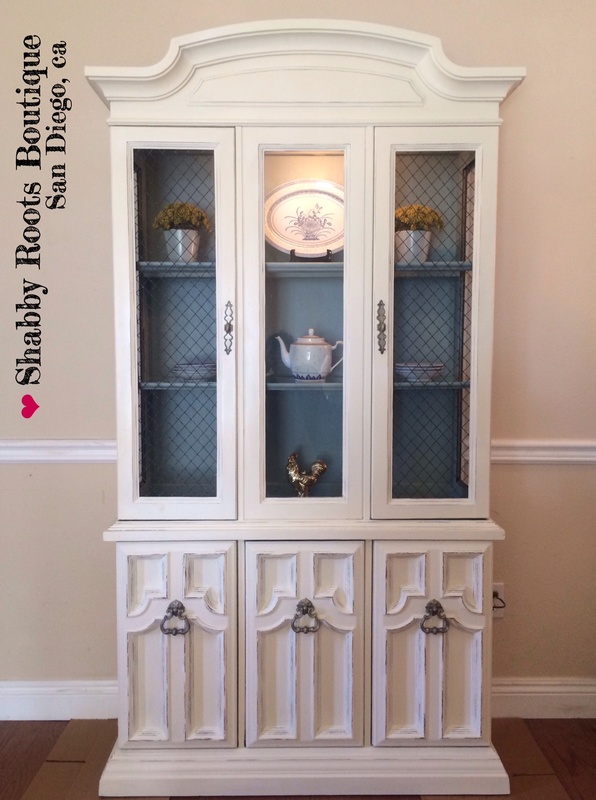 Chalk painted in white and cream and distressed for that ultra shabby chic look. 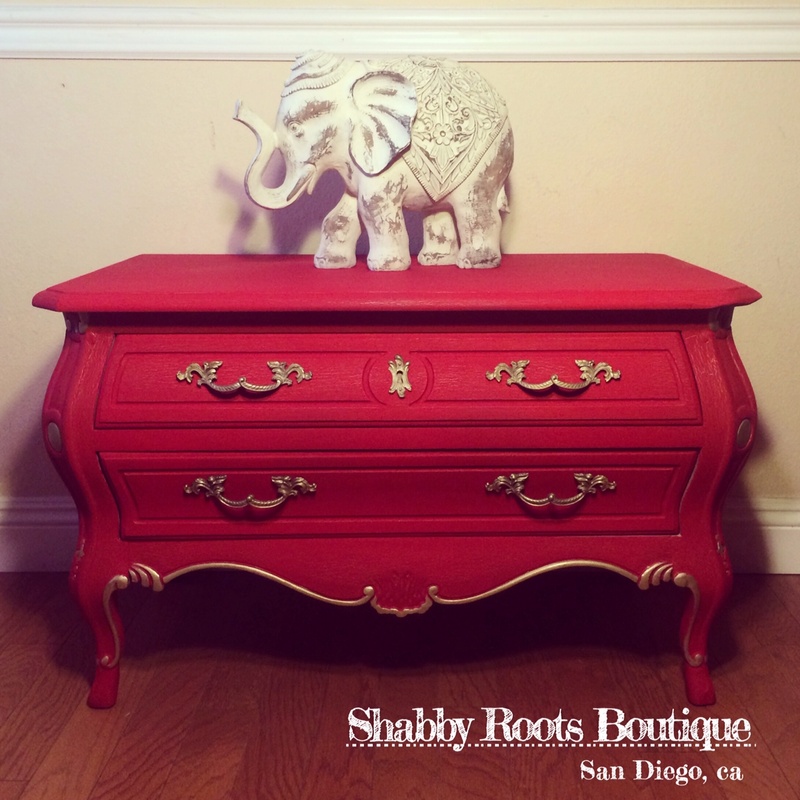 This is an antique Drexel heritage Bombe chest from their “grand tour” collection. 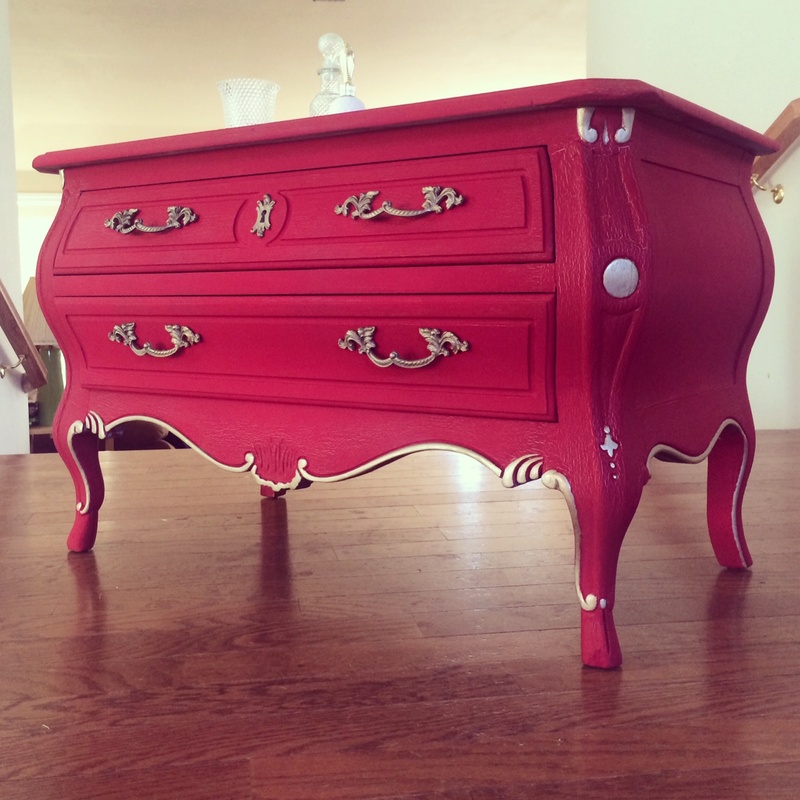 Beautifully painted in a red with pure gold painted accents. It has a light crackle effect here and there which shows off some gold underneath. 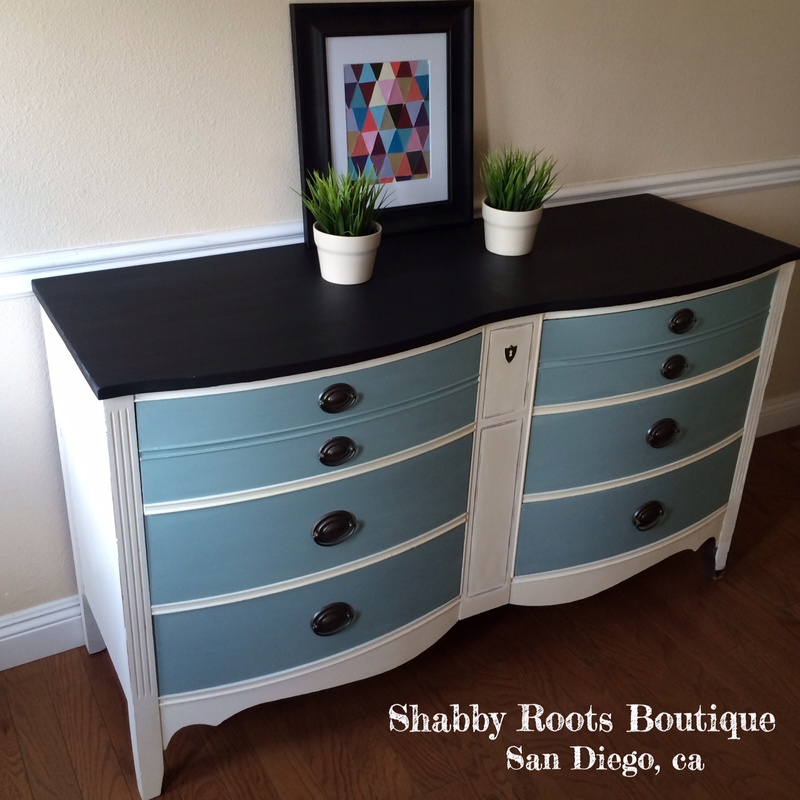 This piece is simply a work of art! 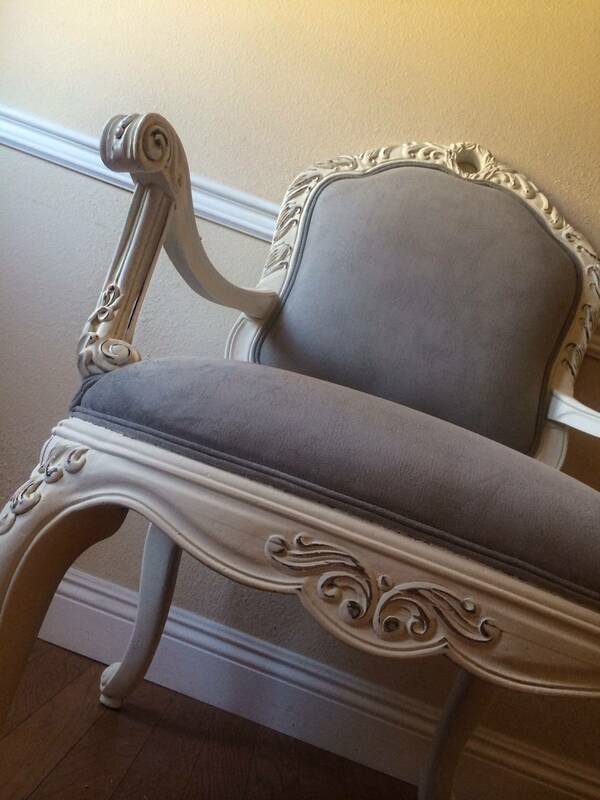 It is very bold and royal looking and definitely a conversation piece for your home. 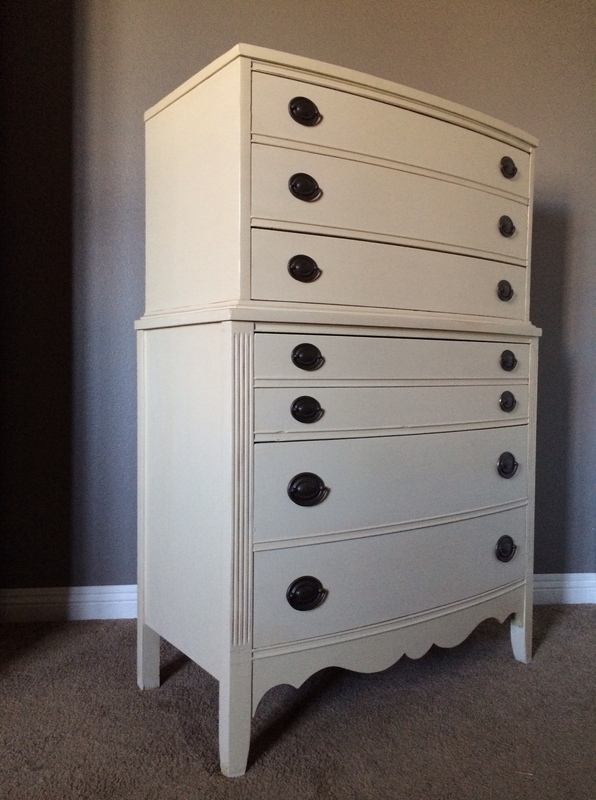 It has two smooth drawers and the original brass hardware. 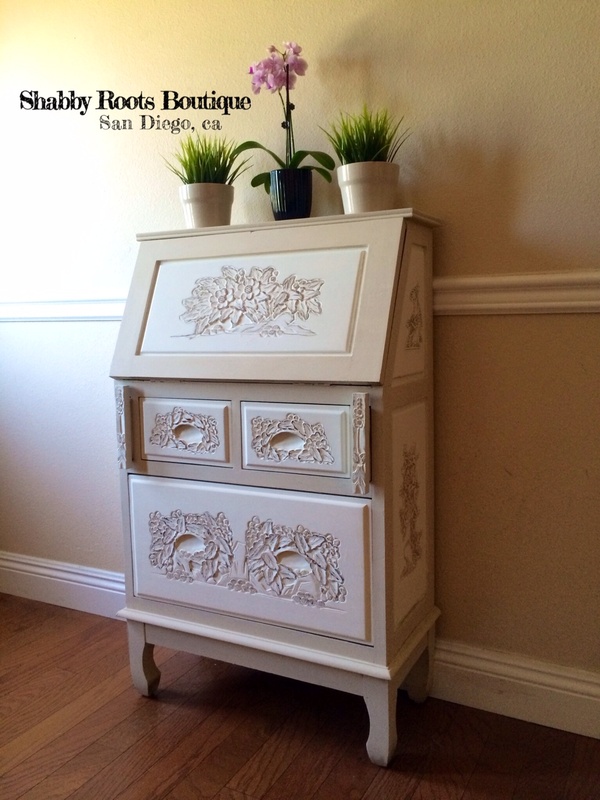 You can use it for any extra storage or surface space. Please feel free to contact me with any questions if interested. 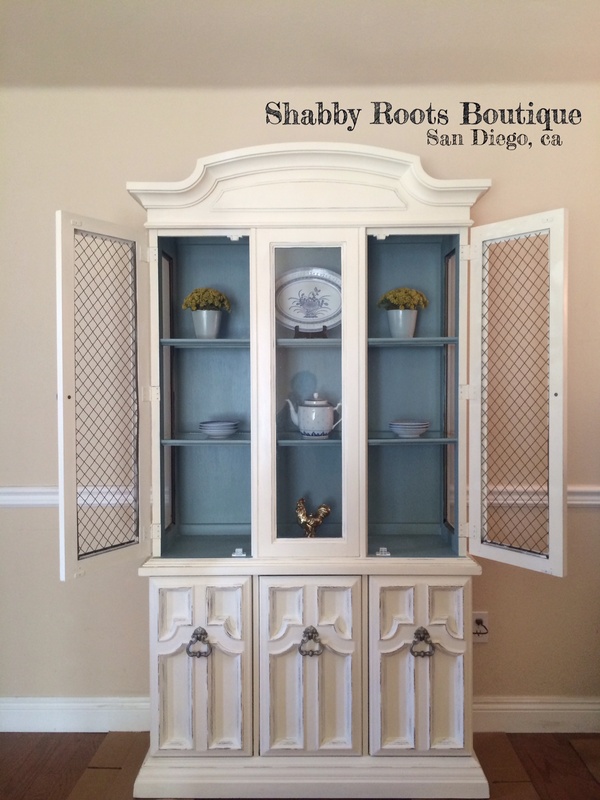 Featuring 3 good sized drop down shelves with shabby wire fronts and original porcelain knobs. 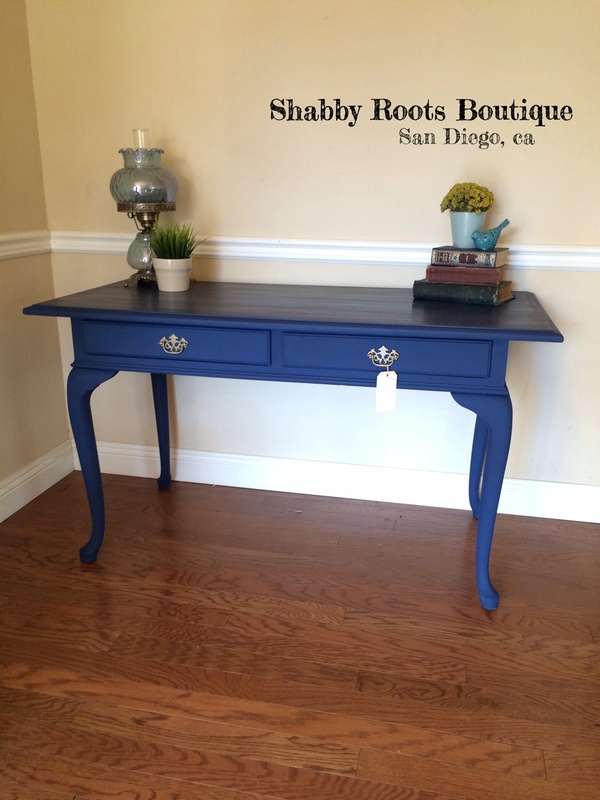 Stained wood top, Chalk painted in “florence”, distressed to perfection, waxed and sealed. 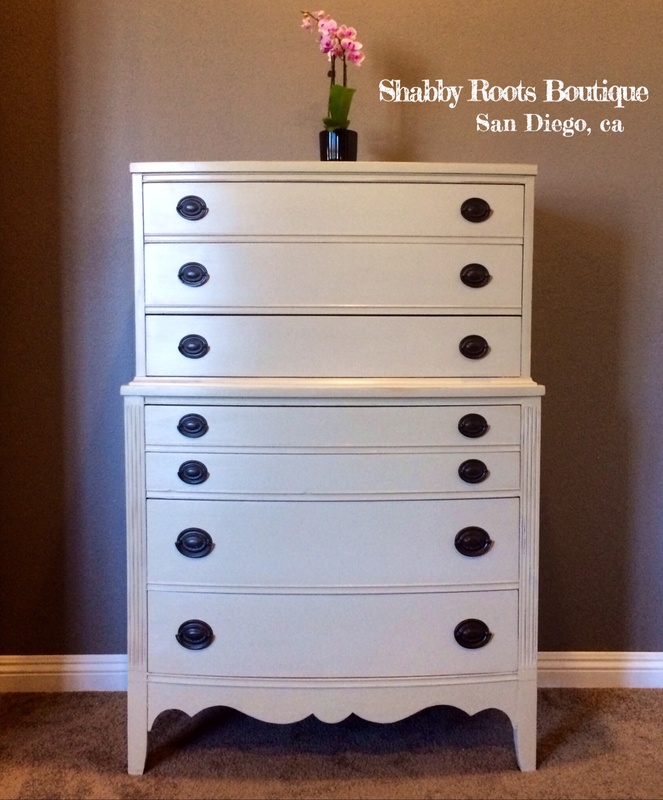 Vintage Tall boy dresser by Dixie. 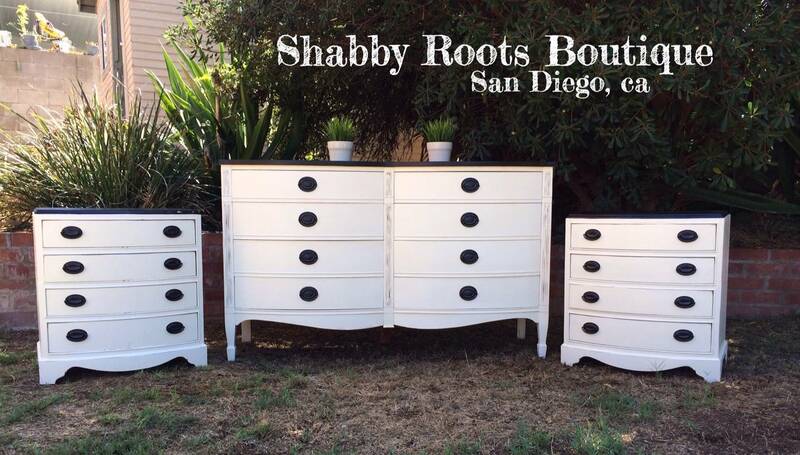 7 drawers, dovetail joints, Chalk Painted in a matte cream color called Old Ochre’, waxed and distressed to perfection. 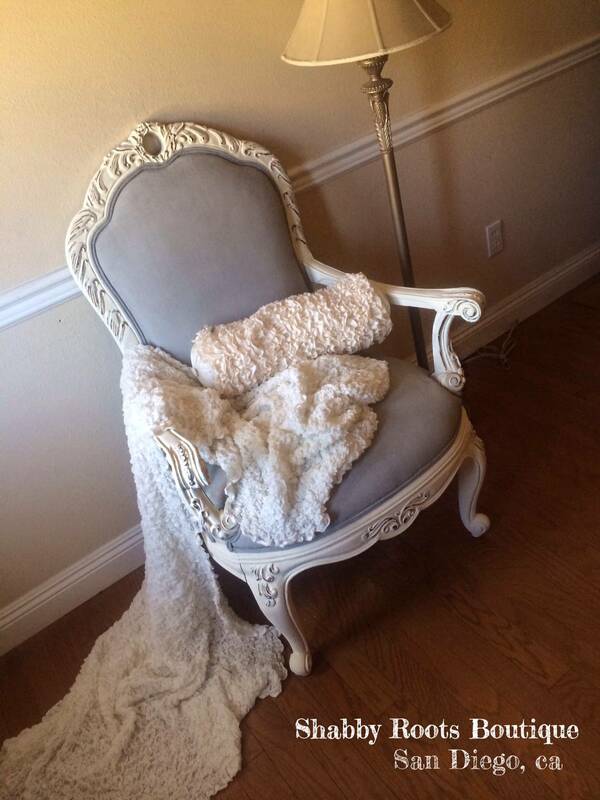 Very neutral and will go with any home decor.